We love a well-designed store. Spaces that inspire and amaze and, of course, sell. And for every beautiful, well-functioning, experiential wonderland there is a team of people behind it. This is the retail design agency. Sometimes they work alone, sometimes in partnership, sometimes with the brand. 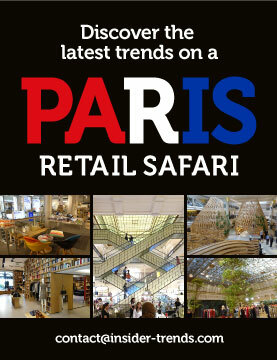 Always they are reinventing the concept of the store design. In recognition of all those great spaces, here’s our pick of the top 50 retail design companies out there (in alphabetical order) flying the flag for brilliant retail design. Described as a strategic design consultancy, 20.20’s mantra is change. It works to change the way we shop for the better. As such it has created design concepts for brands such as Nissan, Liberty, the Early Learning Centre, Pets at Home and more. We love the sense of fun that it injects into its work and its ability to create meaningful new brand identities. London-based design agency Barber has almost 20 years’ experience in designing retail environments and brand identities. Its work spans the full range of retail from luxury to fashion to travel to pop-ups for an impressive list of brands including Harrods, Nike, Topshop, Jigsaw and Diesel. We think it’s Barber’s eye for visual merchandising that helps set its concepts apart. We’re not the only ones with the likes of Drapers and Retail Week also recognising its work at their various awards. ‘Design that works’ is the tagline of UK retail design agency Briggs Hillier. It puts this into practice in retail interiors, exhibitions, communications and more for the likes of adidas, Halfords, Harrods, Reebok, Lacoste, schuh and Topman. We particularly like its take on interactive retail spaces and ability to incorporate digital in effective ways. Browns East, the first in a new roaming retail concept from luxury name Browns, was one of the most talked about new ideas last year – partly for its association with Farfetch and partly for its design. The latter was masterminded by design consultancy Brinkworth which marries skills in architecture, interior and experiential design. The company has offices in London and New York through which it has delivered more than 2500 projects across the world for brands such as Oktyabr, Fiorucci, Supreme and Rapha. With offices all over the world, Callison RTKL is one of the bigger operations on the list. A new combined force of two leading design agencies, the company has experience designing everything from office buildings to residential areas. Its retail chops include working with brands like Hugo Boss, Harvey Nichols and AT&T, plus more than 250 Nordstrom stores. It also created the award-winning Roots concept. We find its designs to be polished, but perfectly suited to the individual brand. Experiential retail is the focus of UK-based agency Campaign Design. It helps retailers to communicate their brand ideals via meaningful store experiences. And usually this means coming up with something a bit different. We love its quirky design for eyewear brand Kirk Originals, as well as its unusual Nike 1948 concept and cutting-edge work with stalwart brands Burberry and Selfridges. Even its pop-ups like Samsung Blue Sky have the real wow factor. Caulder Moore’s aim is to facilitate brand love. It does this by getting to know brands through the eyes of the customer to then create experiences that they will respond to. From Jo Malone to Sweaty Betty to Karen Millen, the company has helped numerous big names forge closer relationships with their customers. We love the way it is able to create concepts for chains, as well as single store experiences, with the same level of care and insight. If you want to see Checkland Kindleysides’ brand storytelling nous in action look no further than the Adidas Stadium flagship in New York – the biggest adidas store in the world. As one of the design partners on the project, Checkland Kindleysides helped create a space that oozes character and taps into what we all love about sport. The company was also behind the super-cool American Eagle Studio idea which got so many talking about what retail space could and should be doing. 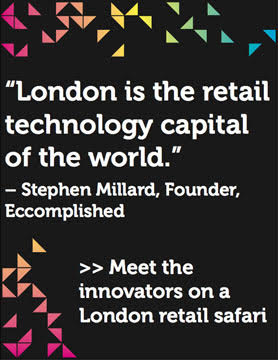 If you want innovative thinking and to reinvent the retail wheel, then they’re the ones to speak to. US-based Chute Gerdeman calls itself a ‘brand experience company’. At a time when physical retail is becoming more about the in-store experience and less about selling it is working with the likes of Target, Best Buy and Whole Foods to make that happen. The company is behind the glorious chocolate factory fun of Dylan’s Candy Bar, as well as reimagining the store experience for Toy Kingdom, South Korea’s largest retailer. When the store experience is this good why wouldn’t you want to visit? Mixing reason with emotion, Spain’s CuldeSac is a design consultancy with a difference. Its methodology uses creative thinking to add value to the brands it works with resulting in widely different feeling spaces. For its project with SuperMoments the idea of what a store is was stripped back entirely to remove all products and create a fun interactive exhibition space. The company also designed the first physical space for internationally recognised brand Hawkers. Its ability to translate brand values into real world concepts is close to magic. Dalziel & Pow’s design concepts regularly feature in our favourite store lists thanks to its knack for bringing fresh eyes to existing brands – whether online or offline. Its stores are always well-pitched with features that make customers’ experiences, and lives, better. Standout designs include Missguided’s first physical spaces and The Shop at Bluebird, as well as the conception of new environments for Mothercare and O2. The name says it all. Design4Retail is an independent name in the UK retail design sector working with brands as diverse as adidas, Lacoste and Too Faced. It offers a close, personal touch to its clients, often working collaboratively with them to bring their brands to life. Case in point is its work with Too Faced which evolved from concessions to its first UK own-brand store. Unlike some retail design agencies, the UK-based EDGE also has an in-house architectural side which helps it to elevate its client concepts. It’s not just about what will look good but also knowing how to make those ideas work in a real-life store. The company’s retail projects include helping Waitrose to future-proof its offering and designing an in-store health and beauty department for Tesco. Brand and retail consultancy Fitch is a global concern with 15 studios across nine countries. It claims not to predict the future but to ‘influence and design it’. What we like is how the company designs experiences that bring brands and customers closer together – in-person, offline and online. This includes concepts for Lego, Hamleys, T-Mobile, Dell and adidas which have netted it a host of awards and nominations. FRCH is all about creating great, fully integrated environments – whatever sector that might be in. When it comes to retail the company aims to help its clients stay ahead of shopper demands whether that’s developing new prototypes or full-store concepts. These include working with American Girl, Macy’s, Tiffany & Co, Under Armour and Saks. And if that’s not enough it has scooped a bunch of awards over the years for its ability to create experiences that resonate. Reinvention and reimagining are the name of the game with award-winning design agency FutureBrand UXUS. From Selfridges to Sephora to Nike, its client list is a rundown of the great and good in brand names. Its success lies in taking these well-established brands and offering a fresh twist on the store experience, whether that’s in a pop-up or in a permanent store. We love its eye for detail and creative thinking. From architecture to design to consultancy, Gensler is a one-stop force in design. One of the biggest in the business it works across the globe with almost 3,500 projects currently active. Retail is one part of this mix with Gensler bringing its expertise to brands like Barneys, The Container Store, b8ta and The North Face. Gensler also worked with Checkland Kindleysides on the Adidas Stadium concept – an eye-catching feat in retail design. It goes without saying that Gensler is highly-decorated with awards but we like how every project starts in the same place – with the client relationship. Gpstudio combines expertise in strategy, brand and design to offer retailers a complete package. It also has specific skills in translating digital brands into physical spaces. Handy when a lot of new brands start life online. Gpstudio has also worked with plenty of big name brands like Harrods, Hershesons, Pernod Ricard and Shinsegae International. Among our favourite projects is its work with Made.com in Paris to create a digitally-enabled experiential space that works. UK studio Green Room takes a human-centric approach to its design projects, working to emotionally connect with customers and create real relationships. This isn’t just lip service. Green Room collaborates with everyone from artists to neurophysiologists – anyone that it thinks can help provide insights that will benefit a project. We’d also say it has a good eye being the company behind the amazing Pro:Direct store concept among others. Design, produce and install are the three elements of the award-winning Harlequin Design. The company works on retail stores, pop-up spaces and window displays with the aim of bringing brands to life. We love the focus it puts on windows, viewing them as a talking point and attraction for the high street. From John Lewis to Hackett, its skill in designing displays that communicate with customers is impressive. Based in London, but able to draw on the 20-something offices of the Interbrand network, HMKM is a ‘total retail’ design consultancy. Winner and nominee of many awards, some of our favourite projects include its narrative contribution to the fab Primark Antwerp space, as well as its work with Selfridges on concepts like the Denim Studio. We like how HMKM can work within a brand’s existing stores to create new ideas that both fit in with what is around them and push into exciting new areas at the same time. Household Design comes from a different place than a lot of other companies. Its designs are insight led, which means its not just designing retail spaces, but also retail culture. The model also focuses on experiences that are worthwhile to both the customer and the retailer, rather than superficially flashy. You can see this in its work on Amazon’s innovative Treasure Truck idea and the creation of a multi-channel concept for Halfords. Working out of London, Istanbul, Mumbai and Dubai, I-AM has a fascination with people. It uses this to inspire its stores and experiences. It also still believes in the power of physical retail which bleeds through into its designs. The result is spaces that people want to visit. We love the 360-degree brand rethink it did for TOWER London which resulted in an award-winning store and a new identity that resonates. JHP lives and breathes retail. The company designs everything and anything to do with the sector from stores to brand names to uniforms to packaging to shopping centres. As such, the company has a unique perspective that goes beyond just what a store looks like. Be sure to see its impressive design for Lotte Department Store Hanoi, as well as its work with O2 and Etude House for a snapshot of this in action. We also love the experimental Burger Laboratory concept. Fun and a fresh perspective are hallmarks of a retail space from the US-based KRS. It handles all aspects of a store from design to installation which means retailers have a single focused partner. With specific expertise in grocery retail, its successful, award-winning ideas include projects with Whole Foods, Fairway Market, Fresh St. Market and Henry’s Market. Other retail clients include Adidas. KKD designs award-winning branded interiors and graphics for a host of retail and hospitality clients such as Jaeger, House of Fraser, Marks & Spencer, Fortnum & Mason and Boots. As part of a two-decade relationship with House of Fraser, KKD worked on the brand’s first-ever green flagship and out-of-town store at Rushden Lakes. We love the interpretation. We also love how KKD keeps its core company values front-of-mind on all projects while making sure none are ever treated in the same way. Shanghai-based boutique design practice Lukstudio was only founded in 2011 but it has already completed an impressive array of projects. Plus, plenty of awards. It has an ‘everything is possible’ attitude to interior design which results in exciting and memorable experiences. These include the Modular Lilong concept for Value Retail China which evoked Shanghai’s streetscape and the wooden shelf supermarket design for The Lifestyle Archive. ‘Creative memory makers’ is how the UK’s Millington Associates describes itself. We would have to agree with that assessment based on the award-winning interactive environments, shop windows, store interiors and pop-ups the company comes up with. Among our favourites are its numerous creative concepts for Nike, which seamlessly combine digital and physical, as well as its exhibition-like design for O2 in Leeds. Another design company with a great mantra is Missouri Creative. Its is ‘don’t tell me, show me’. This is an important consideration for retail design where you’re communicating via the way a store looks and functions. The company does a lot of brand work and combined brand and retail projects, but our favourites include the HTC pop-up in Hamburg and the connected Snow+Rock flagship. Mynt prides itself on being able to understand brands. 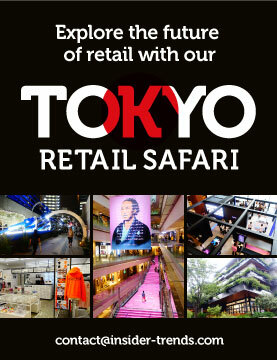 The communication and retail design company then translates this into engaging experiences that customers click with. As a result, the company has forged long-term relationships with brands like Nike and Polar. We absolutely loved its eye-catching environment for the Nike HyperAdapt 1.0 self-tightening shoes, as well as the way it can reimagine stores like Borders via a change in communication strategy. Based in both the Netherlands and the UK, Office Twelve is an award-winning design agency that partners with global brands. 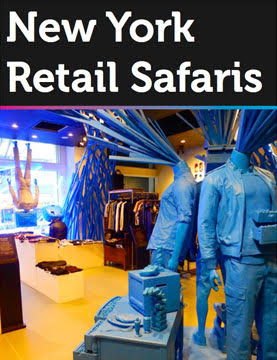 Aware that retail is about more than just selling products the company aims to design outstanding experiences. Among them is the discovery design of Oliver Bonas Cabots Circus store, the first of a new concept, as well as a series of campaigns and experiences for Nike and Converse. A studio made up of designers, architects, writers and marketers, Partners + Spade is a holistic design company. It also practices what it preaches as it started life as an experimental retail storefront as well as a studio. The company focuses on the idea of a brand and how its messaging can be expressed. This has seen it work with Warby Parker on its move into physical retail, as well as Sonos’ stunning New York space. Based in Berlin, plajer & franz studio offers retailers a host of design services from brand identity to store design and architecture. This broad view helps it to keep its thinking fresh and designs sharper as a result. We admire its way to portray brands in a modern but inviting way from the monochrome design of the Karl Lagerfeld store in Paris to the small-scale loft apartment vibe of the LEVI’s Iconstore in Berlin. Pompei C3 defines itself as creating ‘timeless, immersive and inspirational’ spaces and experiences. 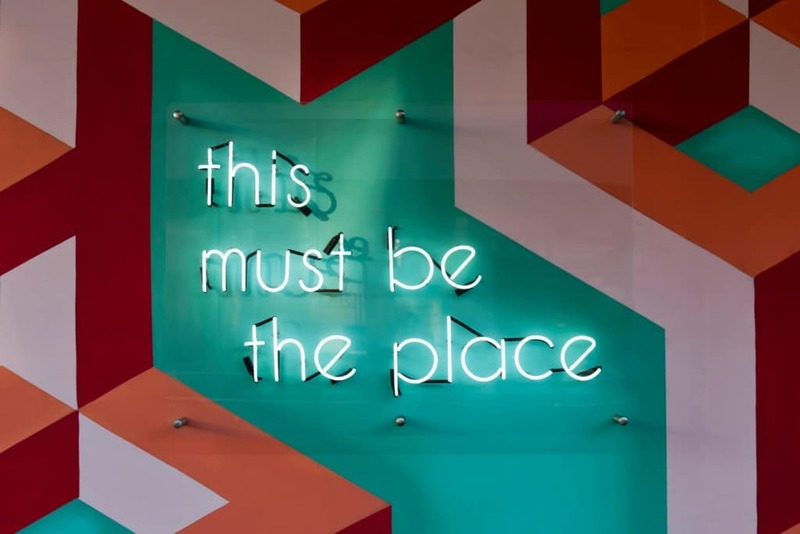 The New York based agency believes in connecting deeply with customers and it manages to do this by developing spaces that ooze brand character. It also forges long-term relationships with its clients like Urban Outfitters who it has worked with for over 25 years. During that time, it has designed nearly 100 spaces for the brand, but it keeps a different feeling for each. We also love its work with C.Wonder and Anthropologie. It’s all about the future with Portland Design. With a deep understanding of the challenges facing retailers, and the demands of customers, it designs spaces that can deal with what comes next. This isn’t just based on gut, but also its in-house insights research. Its ideas always seem ready to share online from the robot click-and-collect system for Lagardere Travel Retail to the repositioning of perfume brand Ajmal to a gold-soaked premium name. Practical Minds doesn’t just design stores and window displays, it builds them too. This one-stop-shop approach allows it to play with the boundaries of design as it knows whether it can practically execute its ideas. It has notched up an impressive list of clients including Harrods, Starbucks, Diesel, John Lewis, Hunter and Skinny Dip. We love how bright and colourful many of its concepts are, especially the eye-drawing window campaigns with Harrods. With enthusiasm and creativity as its company values you can expect Quadrant Design’s interiors to offer something special. And they do from the storey-to-storey changing look of & Other Stories in Covent Garden and outside-in feel of Sofa.com’s Harrogate store. The company makes good use of lighting and natural architecture and materials to create impressive, but welcoming spaces. Another one-stop enterprise, RGLA has all the necessary skills for designing compelling retail environments from architecture to design to visual merchandising. Having worked on nearly 20,000 stores over the last 45 years the company has partnered with many major brands from Crabtree & Evelyn to Barbour to Coldwater Creek. They’re all characterised by being true representations of the brands in physical form. It’s the group aspect of rpa that sets it apart. Able to draw upon offices and experts in UK, India, Poland and Spain, plus architectural firms across Europe, it can muster the skills to take on any retail design challenge. This includes projects with Tommy Hilfiger, Specsavers, TK Maxx, adidas, Foot Locker, Topshop and more. We especially like its ability to translate these types of brands into new markets via locally relevant, but identifiable store experiences. With roots in Italian design, New York design studio Sergio Mannino is known for its bold and stylish designs. We can’t get enough of how it takes retail concepts that we’re all familiar with like the humble pharmacy and butcher shop and transforms them into something new and chic. We also love how it balances a client list of luxury names like Prada and Bottega Veneta with new entrants offering the same level of creativity and finesse to each. Interior designers and architects Shed has worked on projects across more than 30 countries. It prides itself on offering anything but off-the-shelf solutions resulting in branded interior designs that hit hard. Its retail clients include the likes of Harrods, Vertu and Barbour. We love its ability to create an attraction out of its spaces, whether they are a full store, a department or a stand. Global retail design agency Sheridan&Co works on a proven three-step process of strategy, design and deliver. It’s notable for its in-house ability to deliver each of those steps, drawing on its manufacturing and engineering know-how to design concepts that work. It has experience in designing stores, concessions, pop-ups and visual merchandising for brands like Linda Farrow, Fenty Beauty, Links of London and Bucherer. We also appreciate its commitment to retail shown in its five-year retail hub project The Study. Creating world-class experiences is the aim of design consultancy Sherlock Studio. With expertise in graphic design and branding, the company also helps retailers conceptualise their stores. We admire the way it is able to make in-store experiences more intuitive, and therefore enjoyable, for customers. From Morrisons to Lusso to Tesco, its projects are linked by this insight into how customer behave and interact. Creative design agency The One Off says that it doesn’t see ‘ROI as a dirty word’. Basically, it’s saying that it designs spaces for the purpose of making them more profitable, which is what every retailer wants. This translates into spaces that often incorporate technology into the experience, along with cool, modern feeling design. It is worth checking out its work with Nike and Sports Direct, as well as the eye-catching styles it did for TK Maxx, NOS and Crocs. Award-winning London design agency The Yard Creative (TYC) works with retailers and brands that dare to be different. This is reflected in the concepts it comes up with, helped by its specialist, dedicated in-house team for all things retail. The Model’s Own Bottleshop pop-up is a particular favourite for its marriage of brand and impact, but it has also worked with Westfield, JD Pro and Tessuti. Part of the German Umdasch Group, umdasch describes itself as ‘the store makers’ when it comes to its retail operations. Working across lifestyle, premium, food and digital retail, its client list includes the likes of Harrods, Bugatti, Bosch and MINI. We’re big fans of how the company eschews in-your-face design in favour of understated, but impactful interiors that feel high-quality and long-lifed. With a portfolio that includes retail, hotels, galleries, restaurants and more, London-based Universal Design Studio has received numerous awards for its architecture and interior designs. For us one of its standout projects is the stunning Hedonism wine store in London, which lives up to its aim to be ‘the best wine store in the world’. The company has also worked its magic on brands like Mulberry, H&M and Stella McCartney. Wutopia Lab is not your typical retail design agency given that many of its projects are artistic endeavours and galleries. But we must mention it for the amazing Zhongshu Bookstore it created last year. Putting all that artistic architecture and design know-how to good use, the space has been divided into four key areas – each with their own personalities. It feels like an art exhibition with books. We can’t get enough of the aluminium rainbow shape in the main room. More please. This well-recognised design firm has over 30 years’ experience in thinking about how the world sees, and experiences, built environments. These includes hotels, restaurants, hospitality and of course retail. Yabu Pushelberg’s expertise lies in luxury spaces for the likes of Barneys, Bergdorf Goodman, Lotte, Louis Vuitton and Tiffany & Co, but each environment is wonderfully unique as per the brands themselves. ‘Insightful design for inspired experiences’ is how YourStudio describes itself. From strategy to interior design, it works out of both London and Melbourne to make this a reality with its in-house insights team a key part of the mix. We can’t get enough of its super-rich gold pop-up for Pandora in Sydney, or the super-fun Topshop Splash installation. From Birchbox to Veggie Pret to Sourced Market, YourStudio has been behind some of our favourite, and most memorable, retail spaces. Want to know what’s coming next? See what 17 retail design experts had to say about the store of 2025. 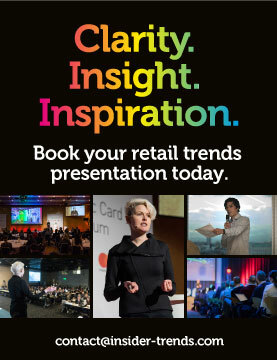 Want to go straight to the hottest retail technologies, latest disruptive thinking and simplest new ways to lower costs and boost sales? Transform your team’s thinking using Insider Trends’ little black book. Find out how here.